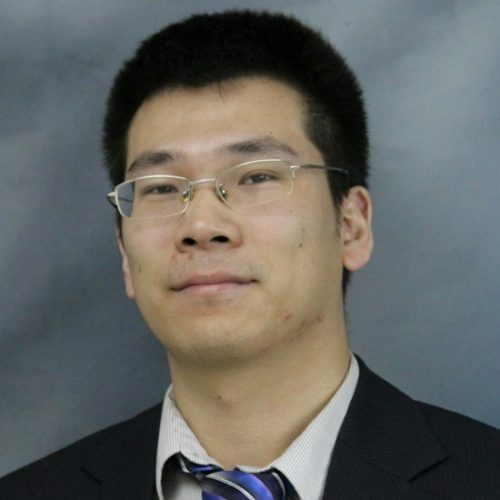 Dr. Liu is interested in micro/nano-scale thermal transport and hybrid organic/inorganic functional materials for energy storage, conversion, and management. Dr. Liu’s graduate students are motivated to learn; they are familiar with both simulation and experiment work, and tend to solve multidisciplinary, challenging problems. His students have the opportunity to learn multidisciplinary topics in optics, electronics, thermal science, materials, and solid state physics. Dr. Liu teaches Fluid Mechanics at the undergraduate level, which covers the basic principles of fluid statics and fluid dynamics. Outside of work, Dr. Liu enjoys travelling, badminton, and reading. Dr. Liu leads an energy conversion, storage, and management research group focusing on developing computational and experimental tools for understanding nanoscale thermal transport, probing new transport phenomena in micro/nano-scale structures, and applying the results to design thermal management and energy conversion/storage systems with nano-engineered functional materials. He is currently working on (1) developing ultrafast laser-based pump-probe system for characterizing thermal and elastic properties of materials (e.g. TDTR, TRMOKE, Raman); (2) developing numerical simulation tools for understanding energy transport mechanisms in soft matters and hybrid materials (e.g. moledular dynamics, density functional theory, lattice dynamics); (3) establishing novel functional thermal materials, especially soft materials and hybrid materials. Those materials serve as elementary building blocks for thermal management and energy conversion/storage devices and systems with enhanced performance. He, J. X., Kim, K., Wang, Y. C., & Liu, J. (2018), Applied Physics Letters, 112(5). Ming, T. Z., Yang, W., Huang, X. M., Wu, Y. J., Li, X. H., & Liu, J. (2017), Energy Conversion and Management, 132, 261–271. Forster, J. D., Lynch, J. J., Coates, N. E., Liu, J., Jang, H. J., Zaia, E., … Urban, J. J. (2017), Scientific Reports, 7. Liu, B., Lu, T. Y., Wang, B., Liu, J., Nakayama, T., Zhou, J., & Li, B. W. (2017), Applied Physics Letters, 110(11). Mai, C. K., Liu, J., Evans, C. M., Segalman, R. A., Chabinyc, M. L., Gahill, D. G., & Bazan, G. C. (2016), Macromolecules, 49(13), 4957–4963. Chang W., F. H., Liu J., E. C., Russ B., P. B., Patel S., C. M., & R., S. (2016), ACS Macro Letters, 5, 455–459. Chang, W. B., Fang, H. Y., Liu, J., Evans, C. M., Russ, B., Popere, B. C., … Segalman, R. A. (2016), ACS Macro Letters, 5(4), 455–459. Chang, W. B., Evans, C. M., Popere, B. C., Russ, B. M., Liu, J., Newman, J., & Segalman, R. A. (2016), ACS Macro Letters, 5(1), 94–98. Lu, Y., Liu, J., Xie, X., & Cahill, D. G. (2016), ACS Macro Letters, 5(6), 646–650. The space exploration capability, especially for imaging missions, greatly depends on the performance of onboard memory system. The next-generation memory chip for space missions requires larger data capacity and higher data density with lower power consumption and shorter access time. One promising candidate is the spin-transfer-torque (STT) based spintronic memory device. The objective of this program is to: (1) experimentally study the mechanism of the novel thermal-induced STT and demonstrate the ability to locally manipulate a memory bit; (2) train undergraduate and graduate students with the fundamental knowledge and technical skills in this area; and (3) collect preliminary experimental data for NASA fellowship and grants.